Countless bands and artists have prided themselves on recycling 80s new wave influences into a fresh sound, some successfully and others quite forgettably. Thankfully, it’s 2012, and this past decade’s reimagining of the 80s, along with its revival of post-punk and new wave, is reaching its inevitable end of intrigue. While it’s certainly relieving to consider at least a few years of something other than new wave interpretations, one must wonder where the conclusion of this trend will leave artists like Twin Shadow – moniker for Gary Lewis Jr. – whose careers are still in their infantile stages. 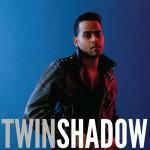 What makes Forget, Twin Shadow’s 2010 debut, worth its repeated listens was Lewis’ lyrical complexity in songwriting. While many 80s revivalists replicate worn-out clichés to further evoke a distant and unmoving sense of nostalgia, Lewis enacts a distinct bad-boy persona that is at once believably authentic and unique. Nearly every lyric on Forget deals with love interests in a manner that is both emotive and complex. By not revealing too much of its narrator while developing enough to make his disinterest in committed relationships reflective, Lewis’ persona gains a subtle profundity. Considering the delivery of these lyrics and the accompanying music, Lewis’ talents as a songwriter and wordsmith are understated. This can be attributed largely to the unnecessarily subdued production Chris Taylor (of Grizzly Bear) provides, stressing reverb and obscurity over clarity. For Lewis, the strength of his songwriting and vocal talent does not warrant obscurity; if anything, it needs to be at the forefront of his music. If anything, the success of Forget only proves the appeal of his songwriting talents. Considering Forget’s weaknesses, Twin Shadow’s second album Confess is an instant success in that it has an urgency not found anywhere on the debut. Lead single Five Seconds, an irresistibly catchy single reminiscent of Billy Idol, is everything Forget excelled in, only amplified. The production is louder, giving more emphasis to the beats, bass, and synths that dominate each song. Best of all, the result is far more exciting and enticing, and ultimately makes Twin Shadow – Gary Lewis Jr. – a more memorable personality. Unfortunately, the heavy wear upon new wave revivalism in the past few years has really limited the scope of this album as per its originality. Yes, Lewis has masterfully captured what the debut lacked, but there’s hardly a moment when the heavier production and delivery does not evoke M83 or TV on the Radio. From opener Golden Light to the disco-tinged Beg for the Night, it’s difficult to say that we have not heard this synth-flaring rock elsewhere, and often with more conviction. Not to say that there aren’t great moments on Confess. You Call Me On is a spectacular electro rock gem that employs beats more complex than anything Lewis has used before. Elsewhere, When the Movie’s Over (possibly a Doors allusion) is polished and showcases a more dynamic side of Lewis’ voice. And finally, the album’s closer, Be Mine Tonight is perhaps the greatest song Lewis has written yet, and perhaps the closest he has come to writing a proper love song (though the hints of avoiding serious commitment still linger). It’s difficult to say that there are some great songs on this album, but it’s true; unfortunately Lewis fails to take advantage of this fact by lagging behind the innovation and originality of the preceding 80s revivalist movement.